Pig Shot may be isn't a new game, but I trust not all people know about that. 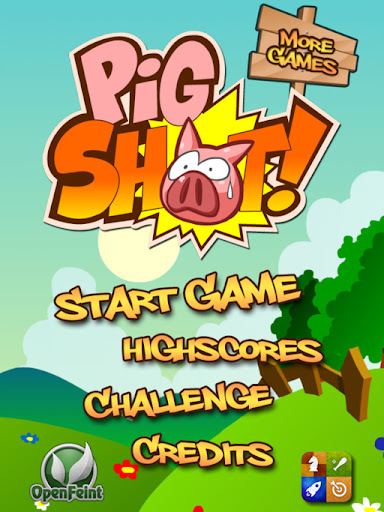 Pig Shot was released at 2010. The developer made this app simple but interesting. A simple way to play is a excellence side from this game. 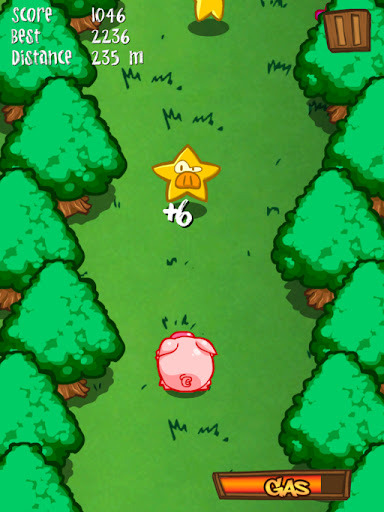 What do u need to play this game is just tilt your device only, sometimes pull the slingshot to make the pig glides. 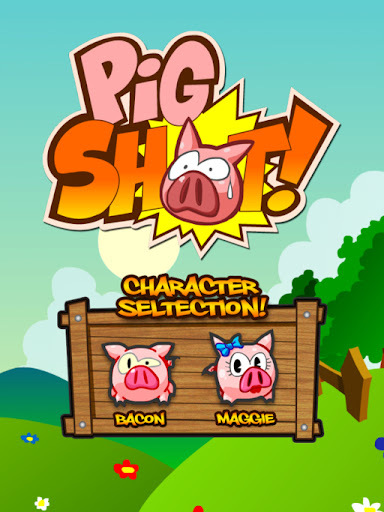 There's 2 characters which u can choose for play Bacon or Maggie. Is up to you to choose, no specific power or ability from them. Both are same. 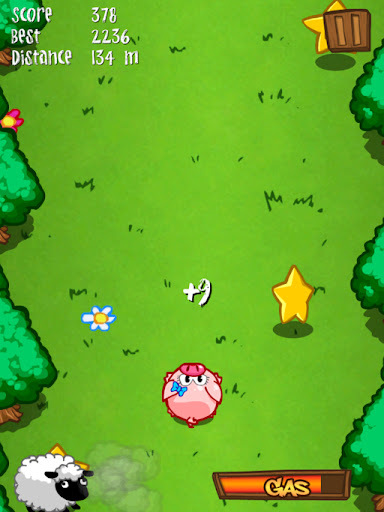 Play Maggie for unlock an achievement. This game is so funny too... Why? The main goal here is glide as far as u can.. 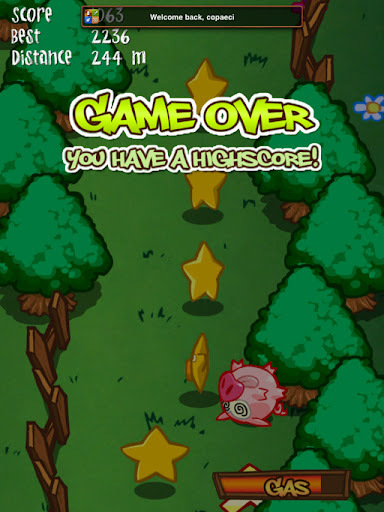 Pick the stars too to gain higher score.. Sometimes, the velocity will decrease before you reach the nearest slingshot. 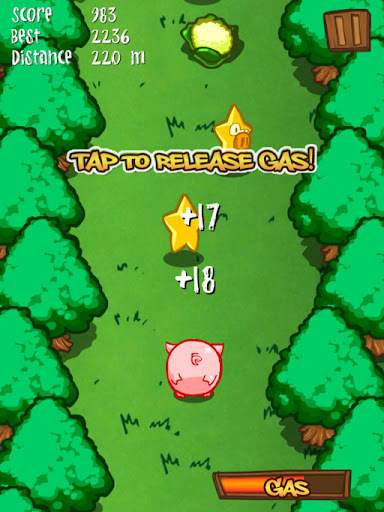 During your way, don't forget to take the cauliflowers or corns for make the gas n escape it to boost the pig when it need. The escaping gas sounds like fart sound... It's so funny. Be careful to with sheeps and wolves. Avoid the rocks, water, boles and straw piles. So far it's a simple game right? Just keep your device in balance position and I believe you will get a high score. So far my score is about 3000 M.
Ps: if u have enough patient, why u don't wait till this game become free again? One more, the developer is different too.